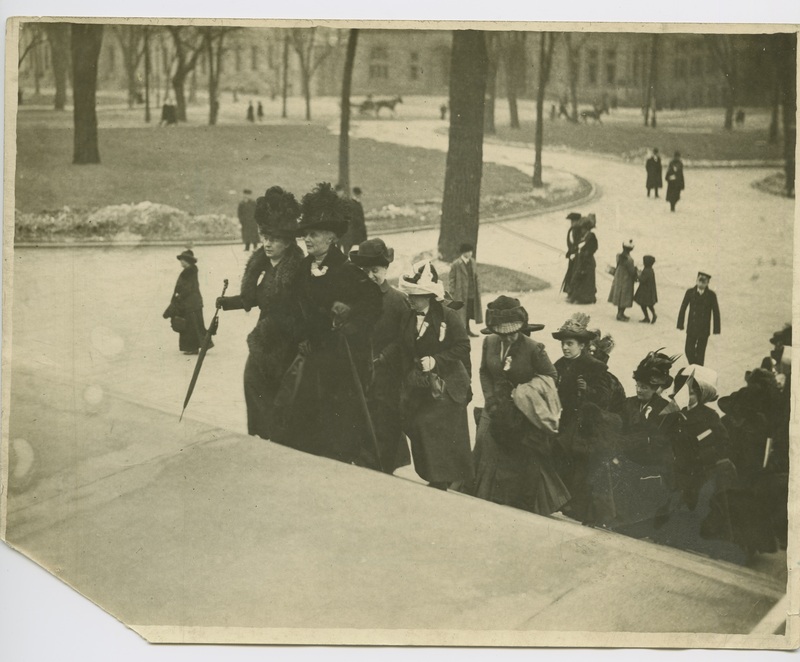 The second episode of A New York Minute In History explores the Women’s Rights Movement from the Seneca Falls Convention in Central New York in 1848 to equality matters being debated today. 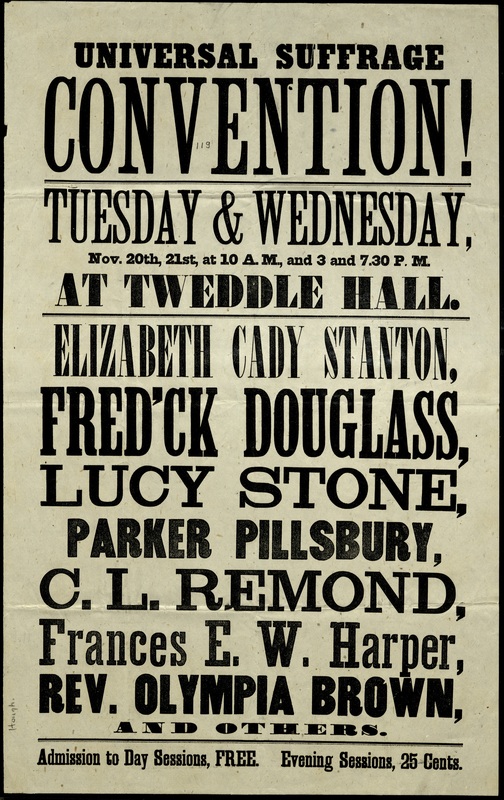 We explore the Movement’s progress through the lineage of Coline Jenkins, the great-great granddaughter of suffragist Elizabeth Cady Stanton. 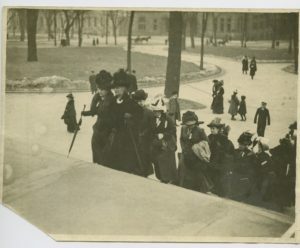 Jenkins, a women’s rights activist in her own right, has a family tree that touched nearly every major women’s rights milestone in the 19th century and beyond. WARNING: A portion of this episode contains graphic language and may not be suitable for young listeners. 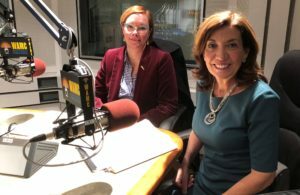 New York’s Lieutenant Governor Kathy Hochul, right, speaking with Jennifer Lemak of the New York State Museum at WAMC’s studios. 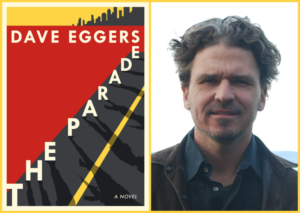 Music used in Episode 2 of A New York Minute In History includes “When The Boys Come Home” composed by Oley Speaks, “Since My Margaret Become A Suffragette” composed by Gus Edwards and “Your Mother’s Gone Away To Join The Army” composed by Raymond Walker. 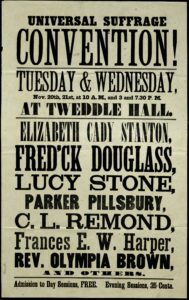 “Keep Woman In Her Sphere,” “The Suffrage Flag,” “Give The Ballot To The Mothers,” “Oh Dear, What Can The Matter Be,” “Going to the Polls,” “Uncle Sam’s Wedding” and “Song of Wyoming” by Elizabeth Knight from Smithsonian Folkways Recordings were also used. Support for this podcast comes from The William G. Pomeroy Foundation, which helps local communities celebrate their history by providing grants for historic markers. 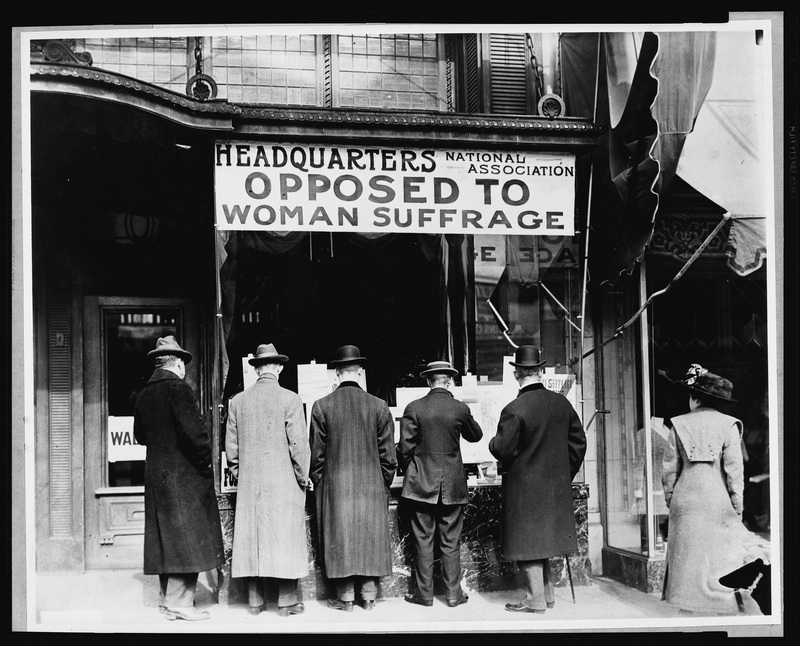 As we approach the 100th anniversary of the 19th Amendment, the Pomeroy Foundation invites you to commemorate the legacy of women’s suffrage with a Historic Roadside Marker. Recognize the people, places and events in your community that made an impact on the voting rights of women. To apply for a fully funded grant or to learn more about the Foundation’s marker programs, visit: WGPfoundation.org.